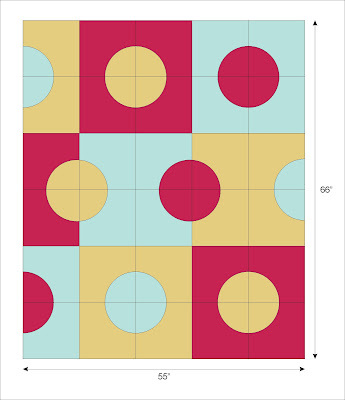 I can't decide on fabrics for the quilt-along! I've bought some fabrics recently, but my quilting stash is still pretty small. I also have apprehensions about cutting into some of my fabrics. Maybe I'll buy new fabrics just for this project. Here's the color scheme I'm thinking about. It's turquoise, red and yellow. I have nothing to go with it, I just like it. I love the color choices and I can't wait to see it come together - glad you're quilting along.